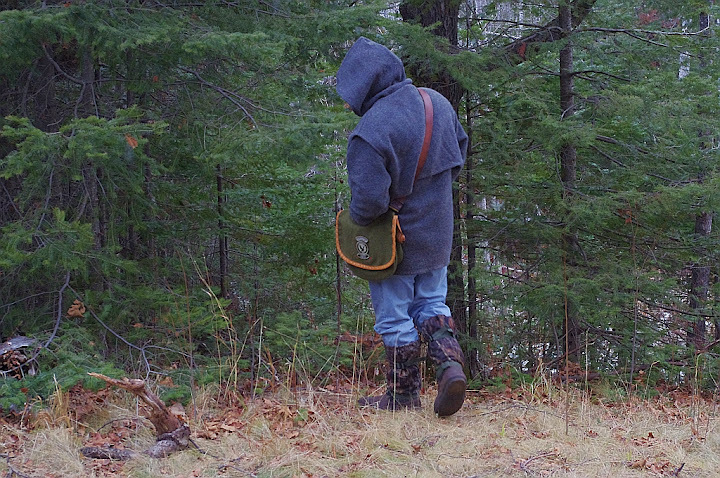 I've had a chance to both wear and modify the pullover and haversack that I ordered from G. Fred Asbell, and so far I am quite pleased. For the price point these products are offered they are quite serviceable, indeed, enjoyable to wear and use. 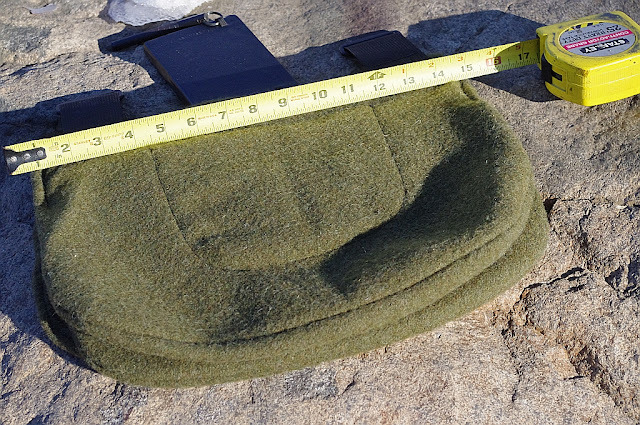 The weights of the wool that they use to make the pullovers, Mackinaws, & haversacks varies from 20oz to 28oz. You can use their website to get an idea of what weight wool each color is, for the pullover I wanted the heaviest weight they have listed, there are a couple in the 28oz range but I went with the Grey. 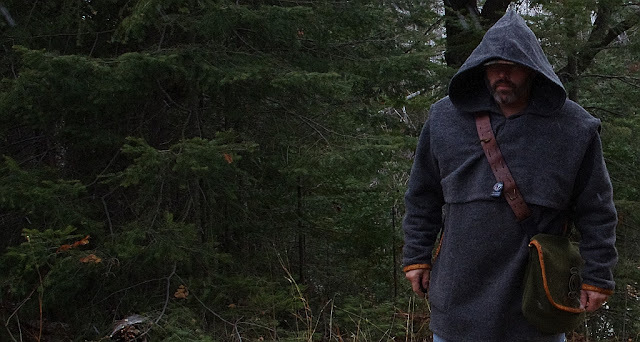 It bears pointing out that the pullovers come in basically three designs, no hood, hood, and Mackinaw. The Mackinaw is what I ordered, basically what that is, is a caped hood where you have the hood attached to another piece of the same weight wool that is a sleeveless short pullover. This gives you a double layer of wool over the shoulders and the upper part of your chest and back. 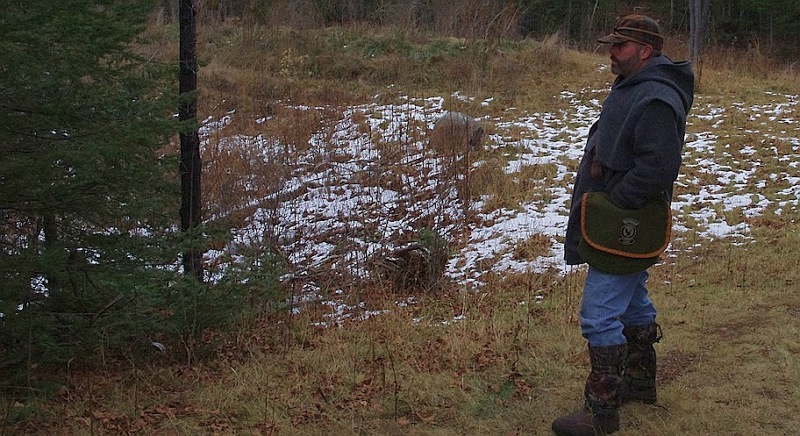 It's really a system, on cool days the pullover is enough, on colder days, or sitting on a stand, snow and the like, you can add the Mackinaw to accommodate. In the image below you can see the Mackinaw fairly well. I ordered the 2XL version of the Grey Mackinaw, the cut was generous and fits the way that I like outer layer shirts to fit. I'm six feet tall and weight 235 pounds, the shirt fits perfectly for my tastes. The stitching is top notch, I could find no fault. The pockets are large, big enough for me to slip my Pentax KX with an 18-55 lens attached, the camera I take my pictures with, inside. 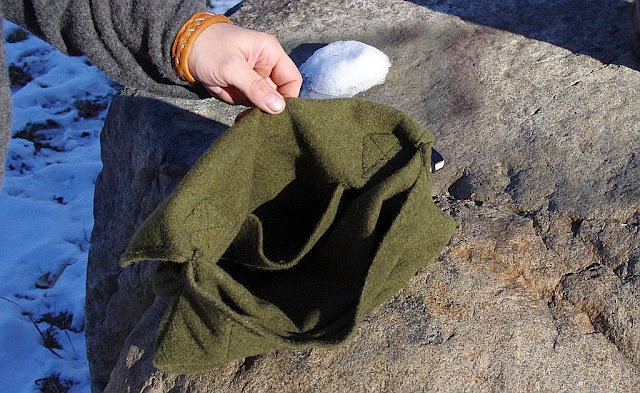 They are also well stitched, when I went out the other day for Wind, Wool, & Bacon, I carried that small 7" mini-skillet inside one of those pockets, still had room for my hand and it carried quite well. The bulk of the garment and the coloring, coupled with the way wool handles light makes the shirt blend very well in my opinion. Take a look at the image below, in the center. That's about twenty yards from the camera. The hood of the Mackinaw is very generously cut, will fit over virtually any type of hat. While it is difficult to see I am wearing a wool Stormy Kromer beneath the hood. More than enough space to accommodate that. The hood was very nice in the wind, pulling it into place effectively cut the bite, it works. Here are several other images showing the garment from different angles and distances. I trimmed the neckline, cuffs, and pocket entrances with tanned deer skin, those images can be found in the Wind, Wool, & Bacon post. Overall I am quite pleased with the pullover. From experience I would say the shirt is great over just a Henley or the like through most cool autumn days, for wind and deep winter cold you're going to want to layer under it. I found that a fleece pullover, with a light base layer then the Asbell pullover completely cut the wind and kept me warm even when sitting on a stand all day. I would recommend that if rain is expected, a breathable waterproof shell be worn over the pullover. The Grouch is pleased, the pullover is a winner. 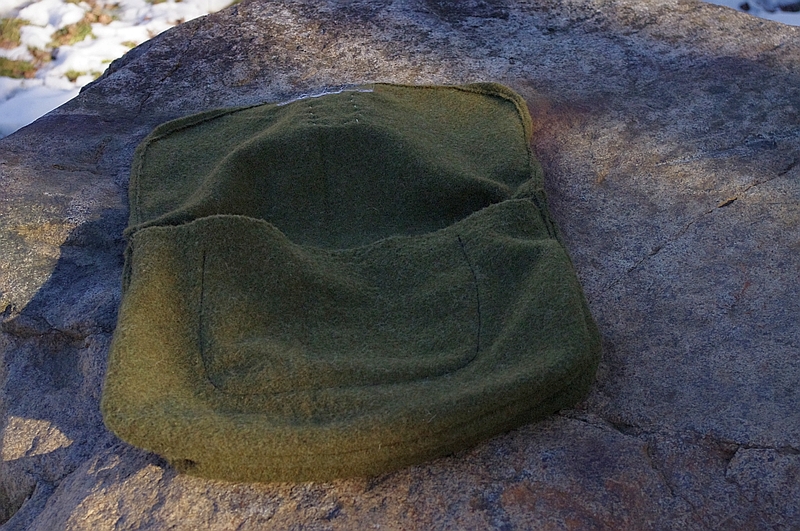 So, on to the haversack. 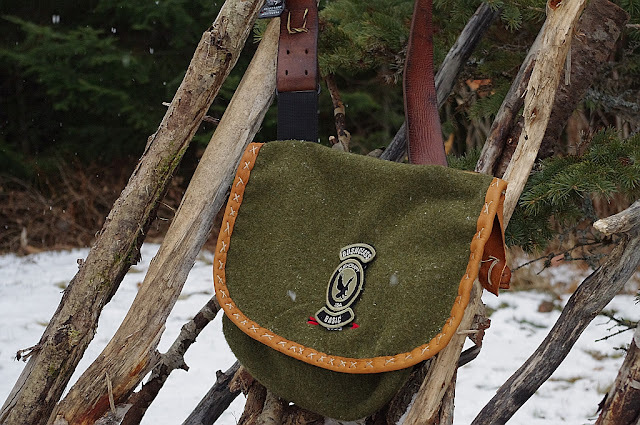 I've always been a fan of possibles bags, the finial iteration of which for me, was my Rifleman's Bag that I wrote about here. I'd not tried one made of wool before, so I picked one of those up as well. It's described on their website as a 'double bag' with a forward side and a rearward side for less used items, and two smaller organizational pockets. 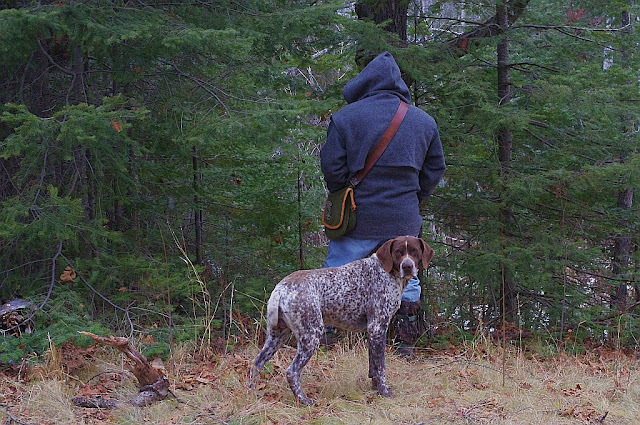 You can find these on their website, scroll down below the information on the quiver, Haversacks. When I got the bag I have to admit, I did not like the strap right away. It's a slick woven nylon, which means it slides freely against most materials, I knew I'd be modifying that. Incidentally, their plaid version comes with a leather strap but is smaller than the green. Couple things to point out. 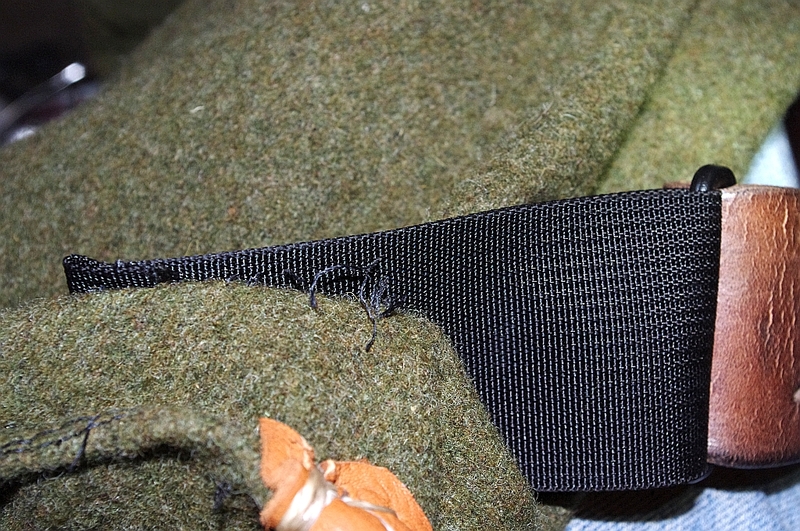 The nylon webbing that holds the plastic pieces for the strap, pretty typical machine stitching. It is double layered and the material is durable. 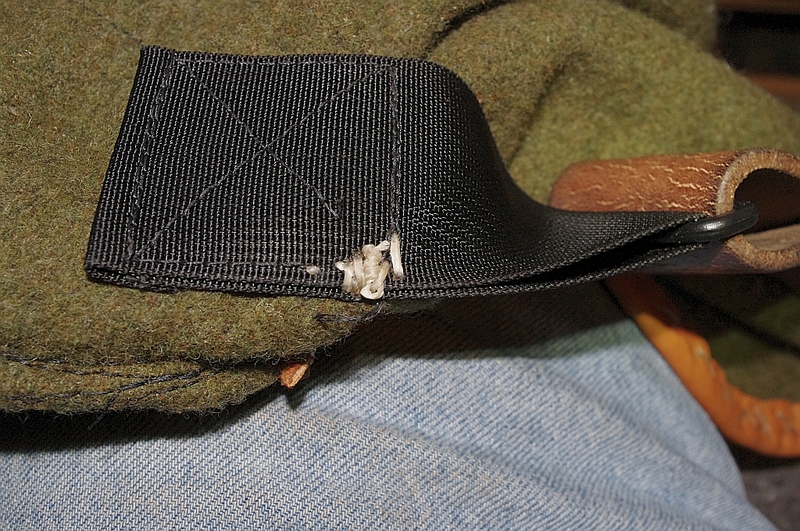 However after a couple days of use the stitching on mine began to pull out, as you can see in the image below. I solved this problem by adding some reinforcing stitching, using synthetic sinew to those points. It did indeed solve the problem. I replaced the nylon strap with an old WWII leather pistol belt, I don't recall where I acquired that belt but it is a wide one, and it's width was a perfect match to slip through the plastic strap lash points. I want to replace that plastic, and I will, as soon as I come up with an acceptable solution. The belt has a double row of holes, what I did was slide the belt all the way through one side, into the other plastic piece, folded it and ran a piece of leather through the holes to secure it. This also gave me the ability to adjust for length. Sometime in the future I'll do another post on what I carry in it. There's plenty of room which if you are not careful, will result in overloading it. 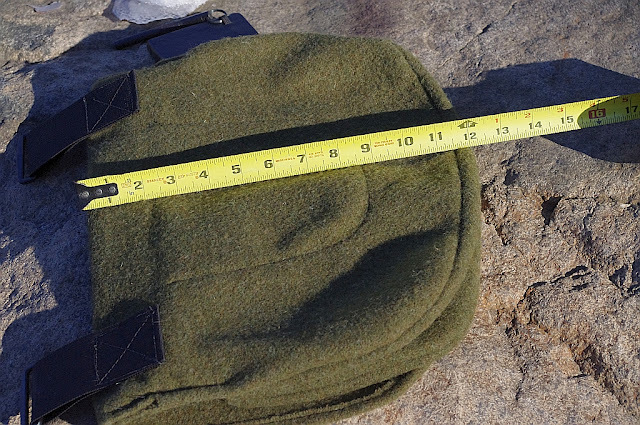 There is enough room to carry everything in my Rifleman's bag plus a lot more. In fact it is also serving to carry my camera along with all the other gear found in the Rifleman's bag. 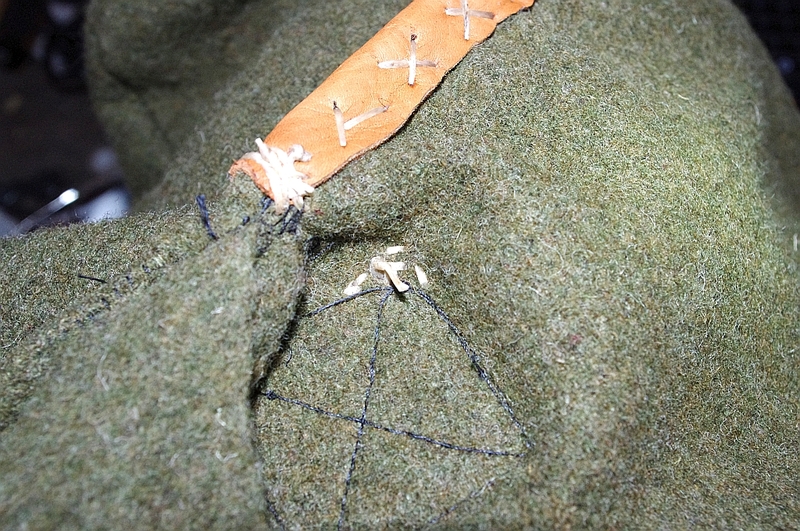 I trimmed out the flap with more tanned deer skin, part of what I used on the shirt. I think it came out real nice. I'm satisfied in both products from G.Fred, Backwoods Bum approved. Nice shoulder bag. I like the modifications you did, especially the strap. I also like to carry a shoulder bag, because it lets you quickly and easily access small stuff without taking off your backpack. I had never seen a mackinaw before this post. It's really ingenious. Looks like you made a good choice. I just gotta get something done by myself from old wool blankets now. I wear a size 48-50 jacket depending on the cut. The XXL pullover fits great. For pics without the Mackinaw I can either send you one via email or drop by their website, they have several good pictures of the pullovers without the Mackinaw. I have that same pullover, i bought it because sometimes while sitting in a blind or stand my shoulder blades would get a chill. fixed that right quick, that hat looks mighty interesting. It held up fine while I had it, I did sell it off after about a year and went to a leather version. For the cost the Haversack is good to go! Any other good recommendations? It is my first foray into archey, and hunting so I am not really sure on good carry systems etc. I have been eying of the Rasher quivers ranger quiver, which would rule out a backpack style... Hence leaning towards a haversack, but I don't know how a back carry quiver would go... Maybe an on the riser quiver would be better? What are your thoughts and experiences? I am leaning toward the traditional style but looking at function over form! I've tried about every method out there for carrying arrows afield. I still use a couple of them but it is dictated by what I want to do most. 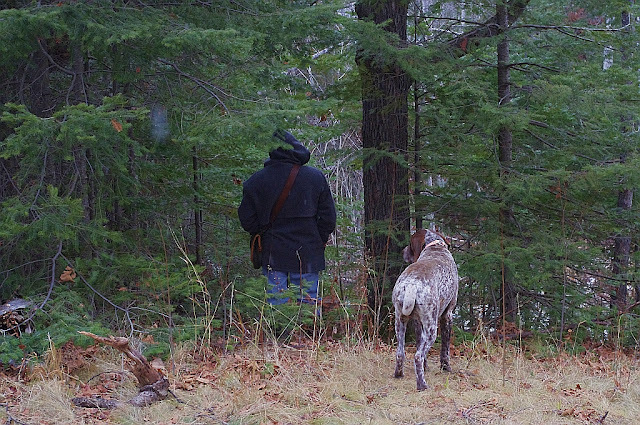 For roving and stump shooting while scouting then a back quiver is tough to beat. 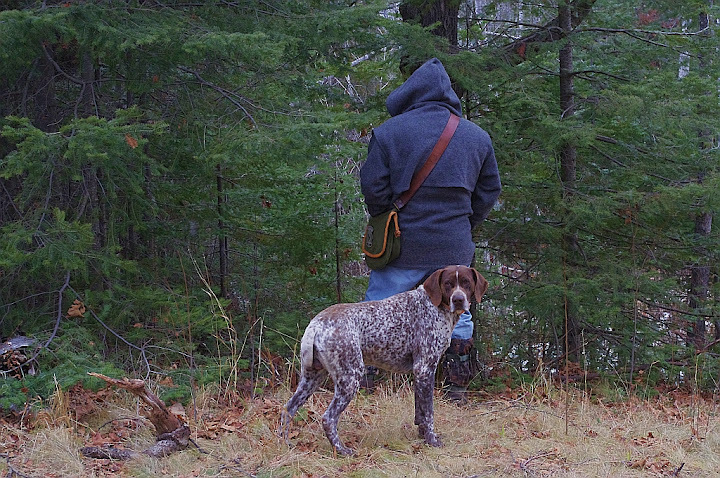 For hunting, hands down I prefer a hip quiver, which also works well when wearing a backpack. A plains style quiver isn't a bad option either, basically it can be worn like a back quiver or adjusted to be worn low across the back or side. I've gone through love hate relationships with bow quivers. At times I have liked them and times I hated them. Due to a 31" arrow and super heavy at that I no longer use bowquivers, simply adds too much weight to the bow. My favorite all around quiver for everything is a Selway Traditional Hip Quiver. I've come to use this for everything nowadays. Holds enough arrows and what ever type I want, can be worn as intended on a belt at the hip or strapped to a pack. I've spent several decades trying different things which is part of the fun, in the end trying things till you find what works for you would be your best bet. I have been looking at bison gear after some of your reviews and I think I will look at their stuff too. how do you go carrying the hc titanium canteen set? Does it fit ok in most pockets? I am tossing up between that and the Vargo bot. I love my kleen lantern and gsi cup but it would be great to lighten it up a bit! But you are definitely right experimenting is half the fun! I am curious to get your thoughts now that a few years have passed on the pullover and mackinaw cape? Are you still using it or have you moved onto something else?